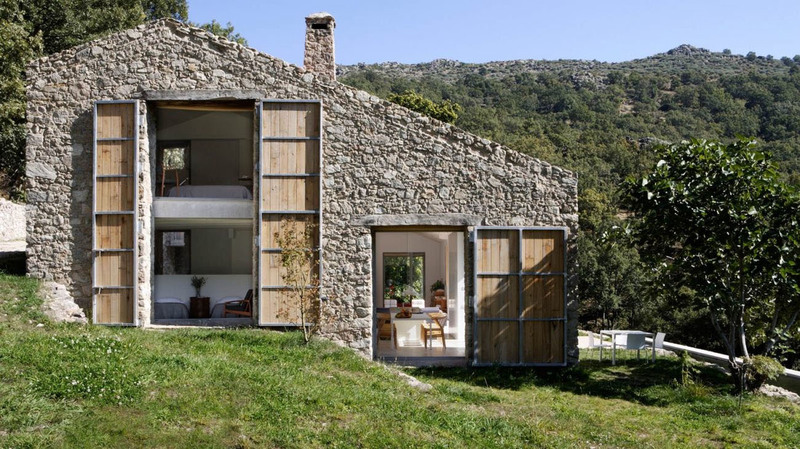 Located in Extremadura in the province of Cáceres, Spain, this country house was transformed into a family home from an abandoned stable. The rustic home with modern simplicity completely respects the environment. A solar panel system was developed to provide energy in the summer, and turbines were installed to make use of the streams to supply energy during the winter.